Incredible images from the American Civil War have been brought back to life in a series of startling colour animations. 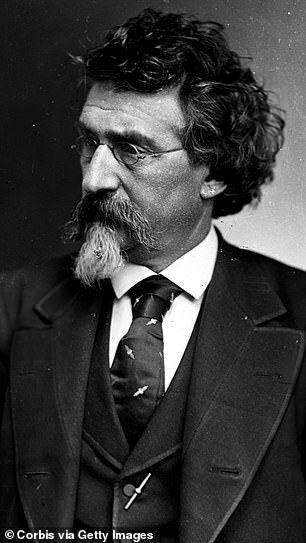 The photographs taken by the esteemed 19th-century American photographer Mathew Brady on his four lens camera would have allowed him to take more pictures and stay ahead of the competition. Colouriser Matt Loughrey, from Ireland, spent hours examining a catalogue of Brady's negatives, that had originally been dismissed as duplicates, to discover that there were minute difference between each set of four. Mr Loughrey colourised the images before overlaying them to create the impression of movement. Among Brady's famous pieces was his portrait of American President Abraham Lincoln before he became the 16th President of the United States in 1861. Now brought back to life, the fascinating images from the America Civil War (1861-1865) reveal the subtle movements made in each shot by each of the historical figures Brady was able to picture. Mr Loughrey, who couldn't believe his discovery of Brady's work, finally completed the project around three months ago. He said: 'It took days to colourise them. 'In my opinion, Mathew Brady is one of the greatest photographers from the 19th century and when you look at his photographs they are phenomenal. In 1845, photographer Mathew Brady, who owned a portrait studio in New York, started to take pictures of well established figures in society including Edgar Allan Poe, and James Fenimore Cooper. When the American Civil War broke out in 1861, the esteemed photographer decided to capture the war's impact through photography and became a pivotal figure in war photography and in capturing generals involved in the American Civil War. 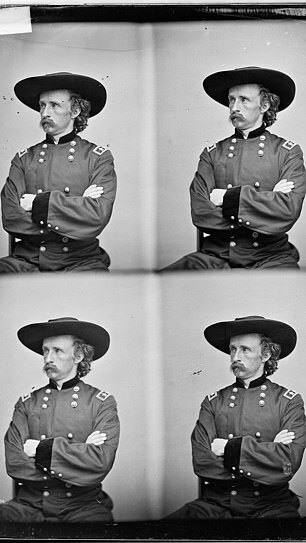 Among his famous pieces were his portraits of American President Abraham Lincoln before his nomination for the Republican Party candidate in 1861 and Cavalry Commander George Armstrong Custer. The portrait, which captured Lincoln in a statesman-like pose before the Civil War, helped present him as a future contender for the Oval Office.